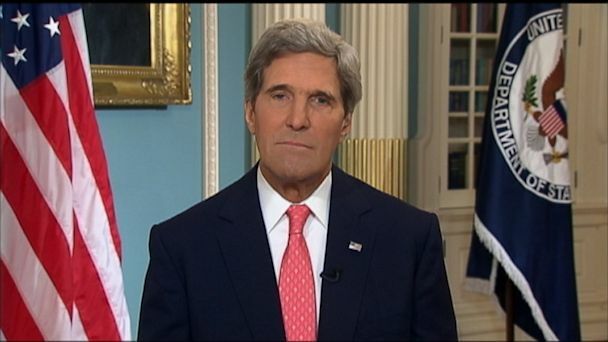 Secretary of State John Kerry has admitted that in some cases, US spying has gone too far. John Kerry is the most senior Obama administration official to have commented directly on an issue that has upset America’s European allies. The US secretary of state said he will work with President Barack Obama to prevent further inappropriate acts by the National Security Agency (NSA). John Kerry’s comments come as Asian countries have protested at claims that Australia was involved in a US-led spy network. In his comments, John Kerry also defended the need for increased surveillance, saying it had thwarted terrorist attacks. “We have actually prevented airplanes from going down, buildings from being blown up, and people from being assassinated because we’ve been able to learn ahead of time of the plans,” he told a conference in London via video link. “I assure you, innocent people are not being abused in this process, but there’s an effort to try to gather information. And yes, in some cases, it has reached too far inappropriately. John Kerry, in his remarks to a conference organized by the Open Government Partnership, said that while some surveillance may have been excessive, claims that up to 70 million were being monitored were an “exaggeration”. Claims about the extent of US surveillance of targets such as European leaders have strained Washington’s diplomatic relations with some of its key allies.